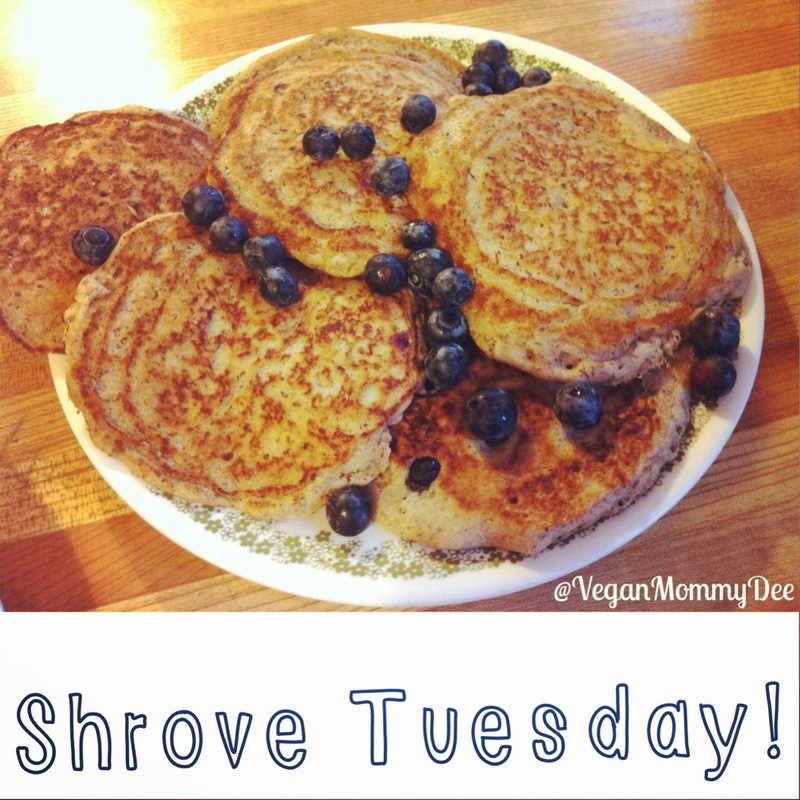 It’s Shrove Tuesday / Pancake Tuesday today! Mix your flaxmeal with water and let it sit. In a medium-sized bowl add the flour, baking powder, cinnamon, and stevia. Mix well. In a small bowl add the water, milk and the coconut oil and mix well. When adding the milk add in 1/3 cup and you can add more if needed afterward. Add the wet ingredients into the dry. Add in extra milk if you find your batter is too dry. Also add in the flaxmeal as well and combine. Don’t over mix however or your pancakes wont be as fluffy. Transfer the pancake mix to your preheated frying pan or griddle. They cook up fast so keep an eye on them. As far as the blueberries go I usually add them in to my batter once I’ve made some plain cinnamon ones as some of my kids prefer them without the blueberries. Then I gently add the blueberries into the batter and cook up the rest. « Healthy Cinnamon Apple Chips!